The face contains a huge number of nerve receptors and, therefore a face massage has profound effects throughout the body. Human face is packed with sensitive, small muscle and too richly artistic with ending and also well in touch. Age and tension are the things that make connective tissue among the skin layers and over time the skin become less elastic. It results the habitual expressions of the skin such as rigid jaws, frown lines, staring eyes and pursed lips are set as the part of fabric of our face. 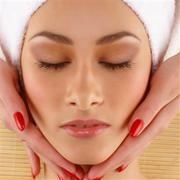 Relax and enjoy unique techniques of a Balinese facial massage while improving your appearance!